Ali Farka Toure, of Niafunke, Mali, set aside his family’s noble heritage to take on the lower-status work of a musician, not to pursue rock ‘n’ roll dreams or transcend wretchedness, but because he wanted to educate people about the rich but neglected cultures of the Malian north, the Sonrai, Songoy, Peul, and Tuareg peoples. 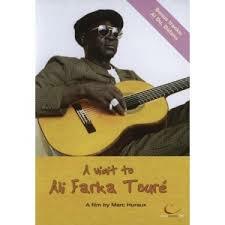 Ali Farka Toure: The spirit who gave me the gift, I knew him very well. And I remember that night in Niafunke. A night I’ll never forget. I was about thirteen years old. I’d been chatting with some friends. I had the monochord [single string guitar] in my hand. I was walking and I was playing just ordinary songs, just like that. It was about 2 a.m. I got to a place where I saw three little girls like steps of stairs, one higher than the other. I lifted my right foot. The left one wouldn’t move. I stood like that until 4 a.m.
Next day I walked to the edge of the fields. I didn’t have my instrument with me. I saw a snake which had a strange mark on its head. One snake. I knew the color right away. Black and white. Not yellow, not another color, black and white. And it wrapped itself around my head. I brushed it off, it fell and went into a hole. I fled. It was then that I started having attacks. I entered a new world. It’s different than when you’re in a normal state; you’re not the person you know anymore. Whether it’s fire, water, whether they beat you, you won’t feel a thing. I was sent to the village of HomborI to be cured and I stayed there for a year and when I was well again I returned home to my family. There I began playing again and I was very well received by the spirits. Great archival footage showing the technique used to play the ngoni, one of many West African banjo ancestors. Ali Farka Toure, of Niafunke, Mali, and an unknown ngoni player, play “Yulli” in Bamako, Mali in 1980. Ngoni is the Bambara name for an ancient traditional lute found throughout West Africa. Though typically a small instrument the ngoni has a big sound and a big place in the history of West African music. Its body is a hollowed-out, canoe-shaped piece of wood with dried animal skin stretched over it like a drum. The neck is a fretless length of doweling that inserts into the body, which unlike the kora (whose neck goes totally through its calabash resonator) stops short of coming out the base of the instrument. For this reason musicologists classify the ngoni as a “internal spike lute.” The ngoni’s strings (which are made of thin fishing line like the kora) are lashed to the neck with movable strips of leather, and then fed over a fan-shaped bridge at the far end of the body. The string closest to the player actually produces the highest pitch, and the player plucks it with his thumb, just like a 5-string banjo. This feature, coupled with the fact that the ngoni’s body is a drum rather than a box, provides strong evidence that the ngoni is the African ancestor of the banjo. Instruments of this general construction can be found from Morocco to Nigeria, and everywhere in between. Some are very large, such as the gimbri played the mystic Gnawa brotherhood of Morocco. Others are tiny, such as the one-stringed gurkel of northern Mali. In Senegal the Wolof call it xalam (pronounced: halam) while in the Gambia the Mandinka have a 5-string version they call kontingo. 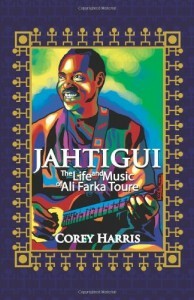 The version played by the Manding griots of The Gambia, Mali and Guinea is typically about two-feet long and has either four or seven strings.